Matariki is coming soon and this week on Thursday we are going to celebrate it at our school. We are having it because its known that a lot of tribes had celebrated Matariki. 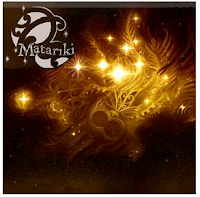 Matariki is the Maori name for a small cluster of stars also known as the seven sisters. Various Maori tribes celebrated Matariki at different times. Others celebrated after the full moon rose or at the beginning of the next new moon. The Maori New year is marked by the rise of Matariki and the sighting of the next new moon that's coming. Matariki re-appears, Whānui starts its flight. Being the sign of the new year! I can't wait till Thursday for Matariki we are going to have a great time with our class.